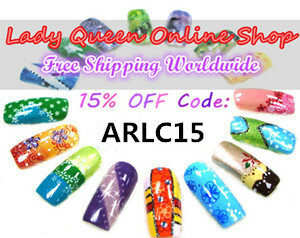 Of course I had to browse around and take a look at all the available products. Next in order was the skin type test, to find out which products work best for me. I already knew my skin type of course and indeed it turned out to be oily. After getting informed about all the available products for oily skin, I decided to go for the Creamy Eye Treatment with Avocado and the Ultra Facial Oil-Free Gel Cream. I also received some free samples and a very nice hand written card. I haven't tried out the samples yet but I am already using the eye and facial creams and I have to say I am very pleased. Especially the Oil-Free Gel Cream is a great substitute to my beloved NARS Aqua Gel Moisturizer. 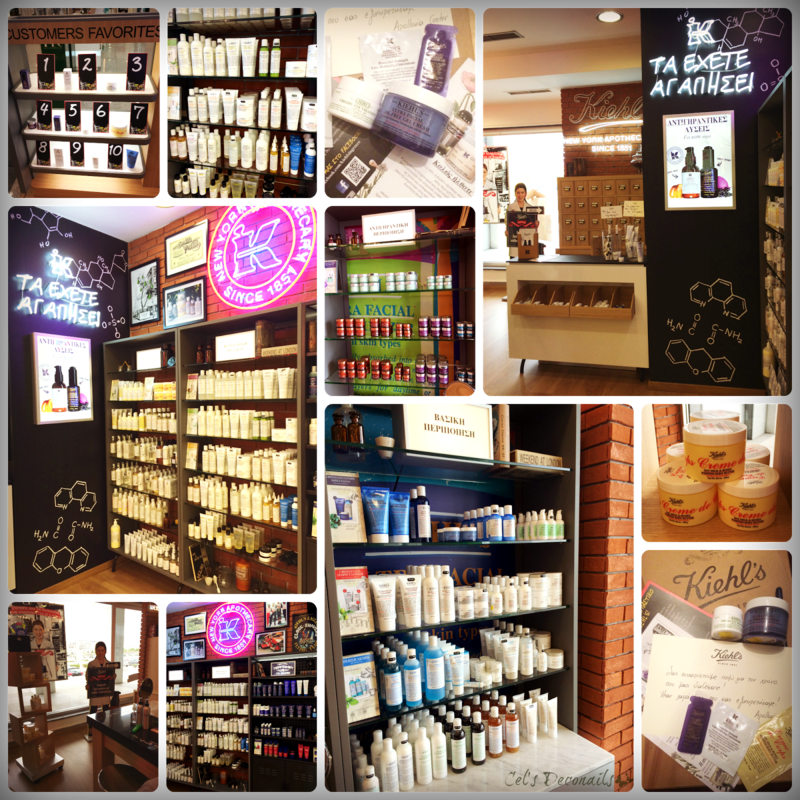 All in all I am very pleased with my first Kiehl's experience and I have to comment on how kind and helpful everyone in the staff is. On May 26 in order to celebrate their official opening, a charity event will take place to help fund a local orphanage. 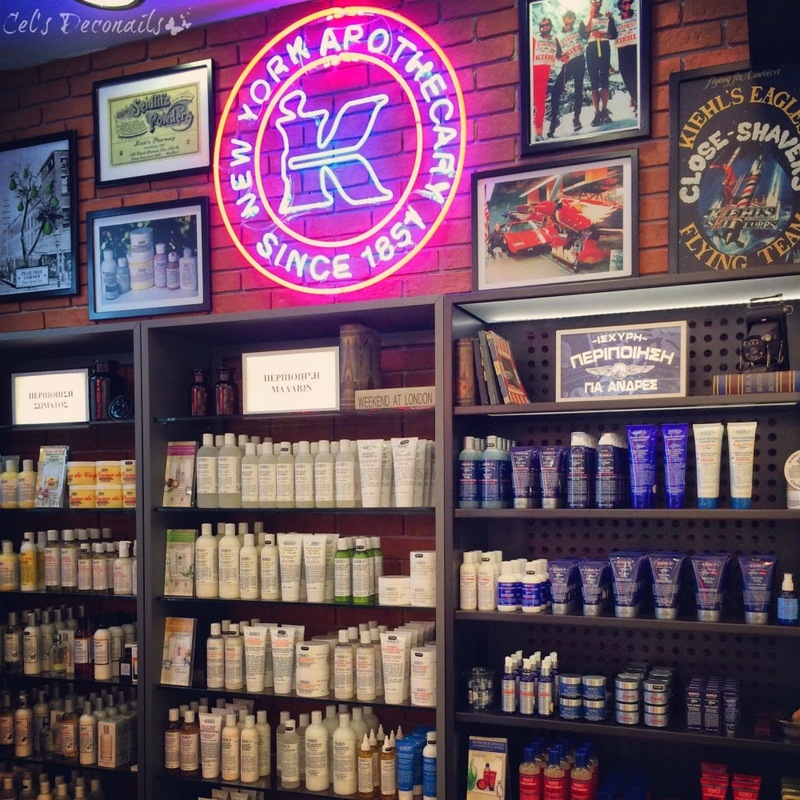 What is your opinion on Kiehl's products dear readers? Have you ever tried this brand? Which product would you recommend? 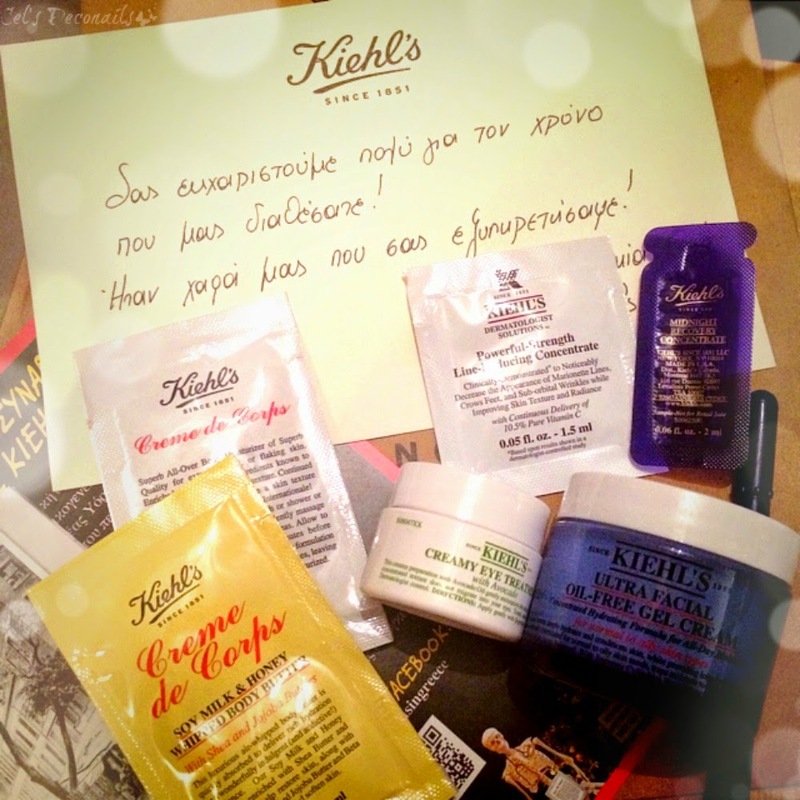 Τhe cream sounds good, I also have in mind the avocado eye cream since long to try when I finish up a few of mine. We absolutely have to!!! I have a mini wish list but I will wait for you so we can go get everything together ^_^ Oooooh is the BB good? I am tempted now! It was a beautiful day Cel!! !Very good post and i think we should go again !!! !